On Tuesday July 9th, Laugh Out London comedy club brings you a night of work-in-progress comedy shows from amazing acts performing at the Edinburgh Festival Fringe 2013. 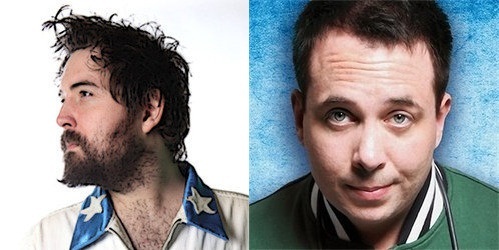 See Edinburgh Fringe Best Show nominee 2011 Nick Helm and Irish hip hop improvisers Abandoman [previewing work-in-progress shows for just £5. 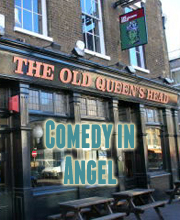 Venue address is The Old Queens Head, 44 Essex Road, Islington, London N1 8LN. Comedian and inspirationalist Nick Helm has overcome pain and suffering his entire life to become the greatest living example of not giving up the world has ever known. This year he returns with a show so monumental it will change your DNA forever. Nick Helm will entertain you until it kills him. The burden is his. The pleasure is yours. ***** (Telegraph). ‘A dazzling hour’ **** (Evening Standard). ‘Invigorating, unpredictable and unreliable’ **** (Times). ‘A high-octane, brilliantly silly hour’ **** (Time Out). ‘It ain’t pretty but it is hilarious’ **** (Chortle.co.uk). After several years cutting a truly original path between rap music and comedy, Abandoman are stepping up their award-winning game. Now performing as a full band, they’ll innovate mixtape mashups and futuristic jams live on stage, using the history of hip-hop as their blueprint, and you as their inspiration. From Kanye to Jay Z, from country to funk, this show will contain musical, lyrical and comical scenes of a seriously awesome nature. Are you ready to take the trip? **** ‘Flight of the Conchords meets 8 Mile’ (Chortle.co.uk). ‘Truly innovative’ (Guardian).